Home / News / Well done Scrapheap team! Very well done to our Cubs team at the Dorset Scouts Scrapheap Challenge last weekend. The Cubs made an excellent entry, called “The Deep”, pictured above! They might not have won, but we were extremely proud of the way they conducted themselves – one of the judges came up at the end to give them a special commendation for their teamwork, that they kept on going, working really well together and came up with a really detailed design. Well done Cubs! And thank you all for giving up a Saturday to take part. 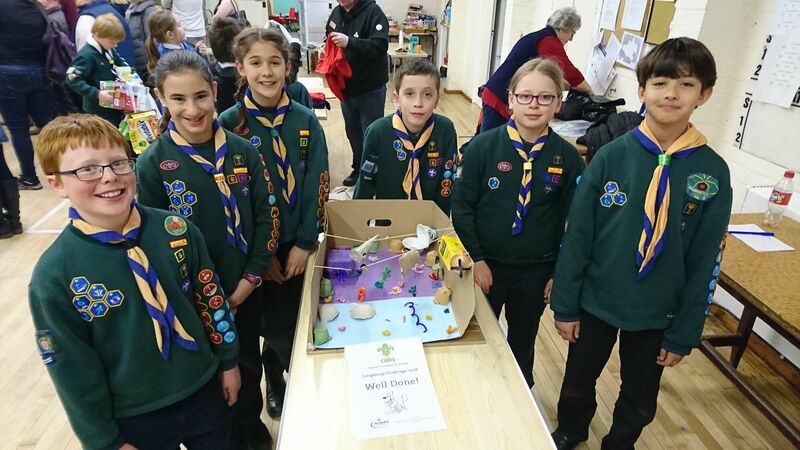 Previous post: Poole Scouts Scrapheap Challenge Winners 2018!